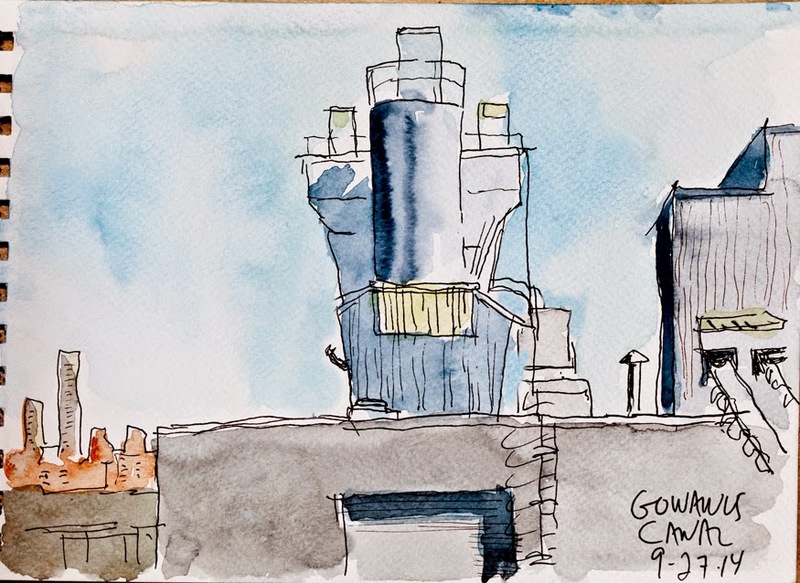 I am new to the NYC Urban Sketchers group. Mark invited me and I was totally flattered. 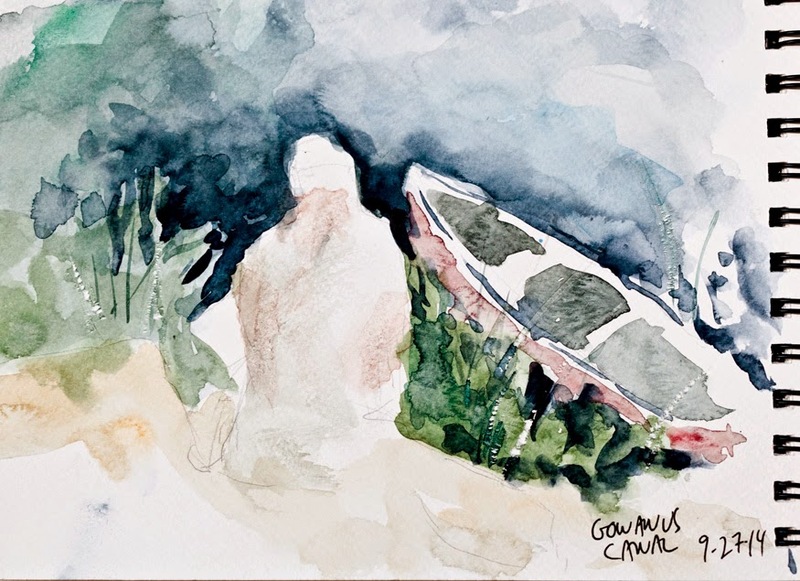 My comfort zone is pen and ink but I started to learn watercolor 2 years ago. That came with things like color theory that make my neurons writhe in pain. So I struggle to dispense with line but still drift back to my comfort zone. Here is my first try of the day. The day was blazingly beautiful with totally blue sky and no clouds. 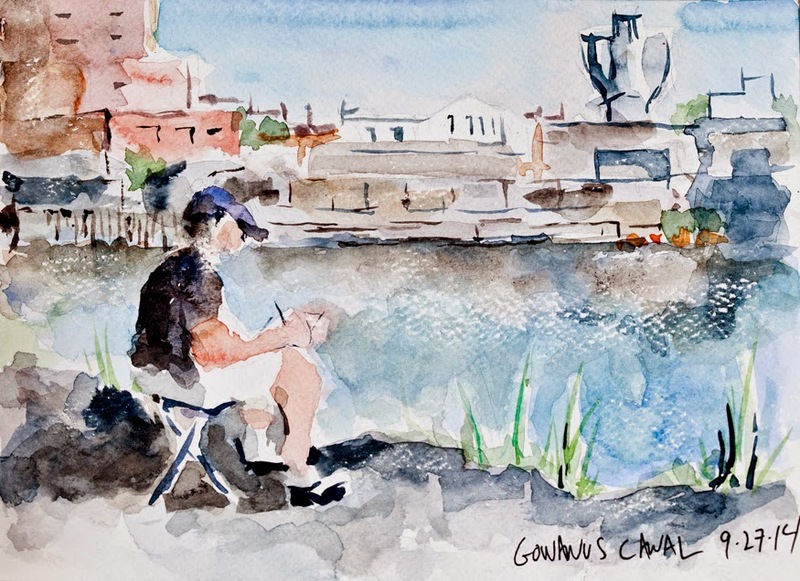 It was hard not to be intimidated while surrounded by so much Urban Sketching talent. So I set my brain free and grabbed my Micron pen so I didn't have to think so much and here is the next result. 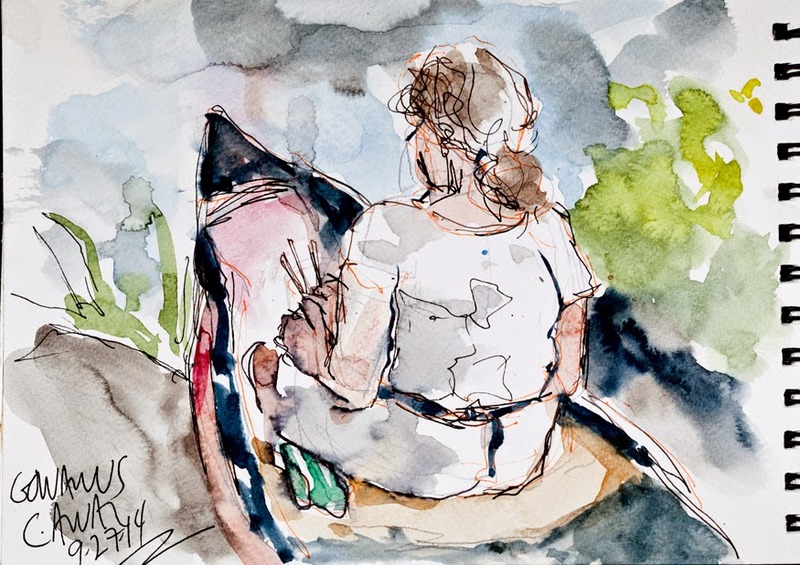 I tried to combine the free flow of the watercolor with line while drawing Amy sitting in the canoe. Then pushed myself to dispense with the pen and reach for the negative space. Then came back with my comfort zone while watching Jessica paint. 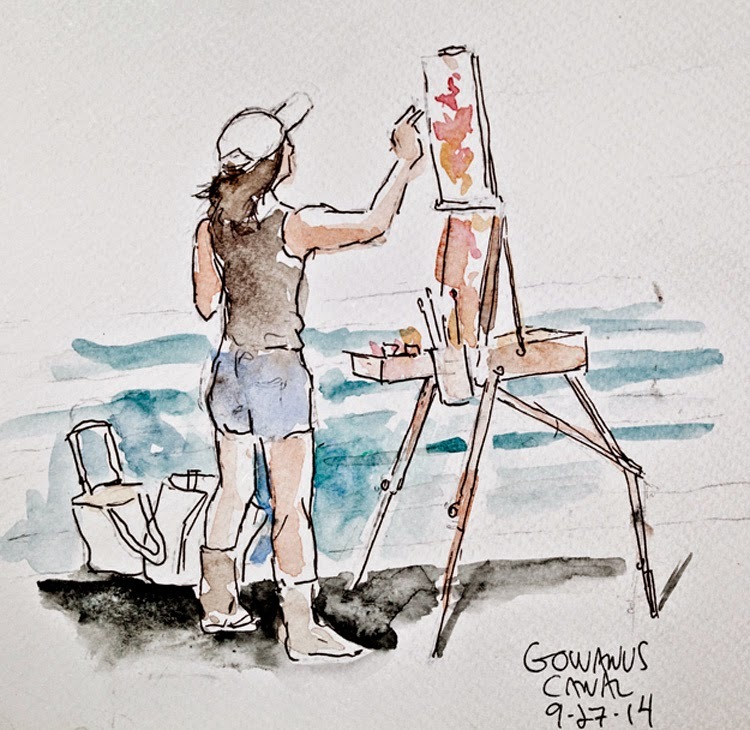 A great afternoon with NYC Urban Sketchers! Jeff, these are terrific sketches and you had such a productive day! I hope this means you will be returning. The negative sketch is well done and soooooo difficult to do especially in such a short amount of time. Gorgeous stuff Jeff. So glad you shared it with us. Like Susan said - very productive day. Wonder ful sketches. Hope to see you again. Jeff, you got a lot done on what I was told was a brutally sunny day. Welcome!